The place for free and cheap things to do, deals, etc. Here’s a few to start! If you’re near a Green Zebra, well, I don’t recommend shopping there on a regular basis because it is very expensive! But if you sign up for the Zebra Cash Rewards Program, whenever you don’t go there for a few weeks (not sure of the exact schedule) you’ll get an email saying they miss you and offering you a free coffee or draft kombucha, no purchase necessary. I try not to go out for coffee much, and I live right near a Green Zebra, so this is a fun special treat for me. Oooh I love this! I can only think of 1 right now, but I’ll brain storm more. -If you volunteer for Legacy, the badge they give you lets you ride the street car for free. (At least, that was the case when I volunteered for Good Sam ~4 years ago). Huge surprise bonus too was that there’s a volunteer scholarship you can apply for- they gave me $1500 toward nursing school! If you’re on food stamps and interested in local live theatre, check if they participate in Arts for All,a program that provides $5 tickets. If you’re not on food stamps, many local theatres offer discounted preview night performances. That’s the week (Wednesday-Friday, depending on the theatre) before the official opening night when the team is still tweaking elements of the show. If your modified adjusted gross income is below 200% of the poverty line, you can get half-priced TriMet! Here’s the program details and how to enroll. 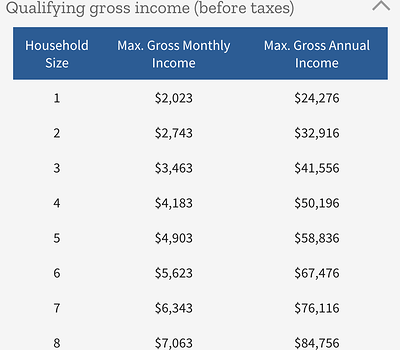 Here’s the income levels below which you qualify. Get on the Zupan’s mailing list for discounts or free stuff. Usually it’s not anything I’m interested in, but the last two summers I’ve gotten an entire flat of delicious peaches for free (with a $10 purchase, if I recall). Sign up for Waffle Club at Waffle Window and you’ll get a coupon for a free waffle close to your birthday! And I think you get free dozen mini donuts at Pip’s the week of your birthday, which I haven’t been able to get yet. @krmit I’m all about the theater preview shows or rush tickets! :). Also, lately I’ve been buying a lot of music and theater tickets through Goldstar Events as well! I love the library. They have so many free, fun classes, and events (The big book sell is happening the weekend of April 26th 2019). They also have this thing called “The Discovery Pass” that gives you free tickets to things like theaters, the Chinese Gardens, the Opera and roller derby. Also the Portland Art Museum, Fridays $5 after 5 deal is awesome, they bring in food carts and everyone gets in for $5 - it is not every Friday, but most, check their website! How do you find all the events? Just the website? Thanks! They also have bookclubs to join based off different interests.